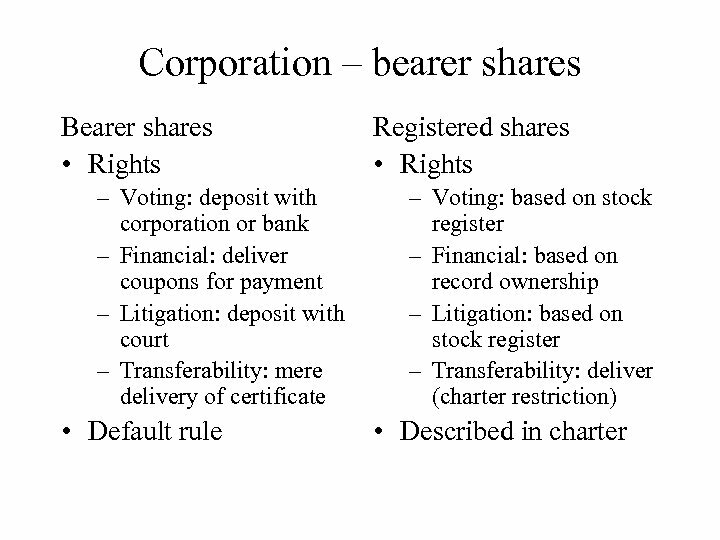 Corporation – bearer shares What is the difference between bearer shares and registered shares? 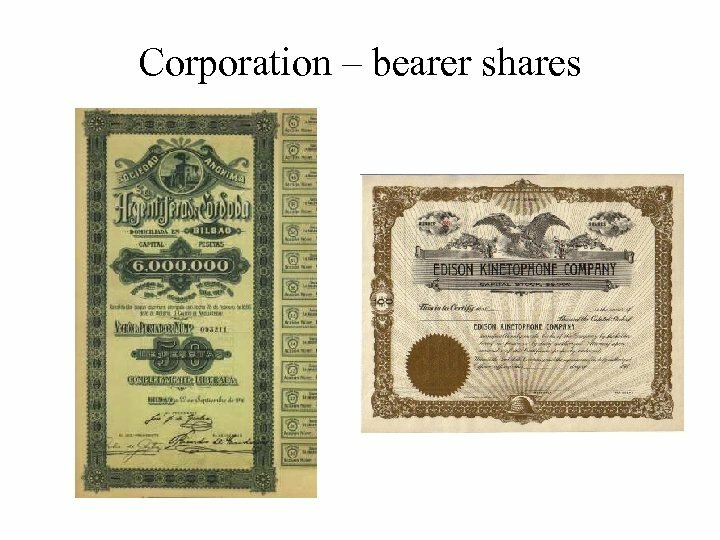 Why do Europeans prefer bearer shares? What about usual preference for certainty through registration? 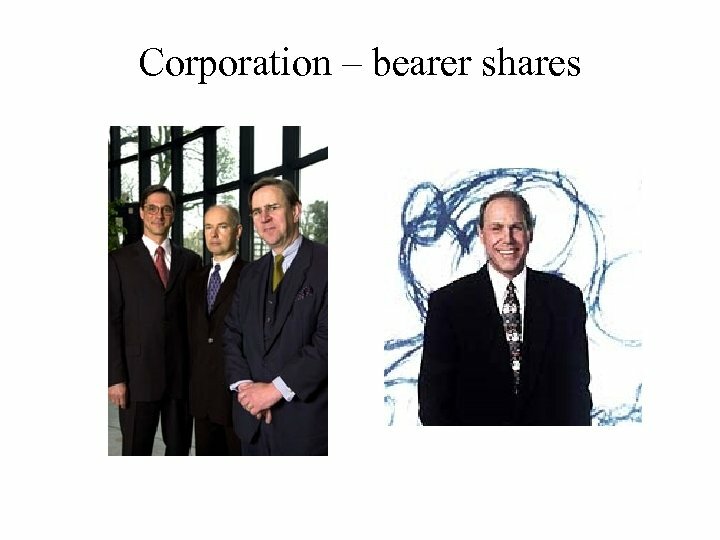 Corporation – bearer shares Are bearer shares a matter of right? 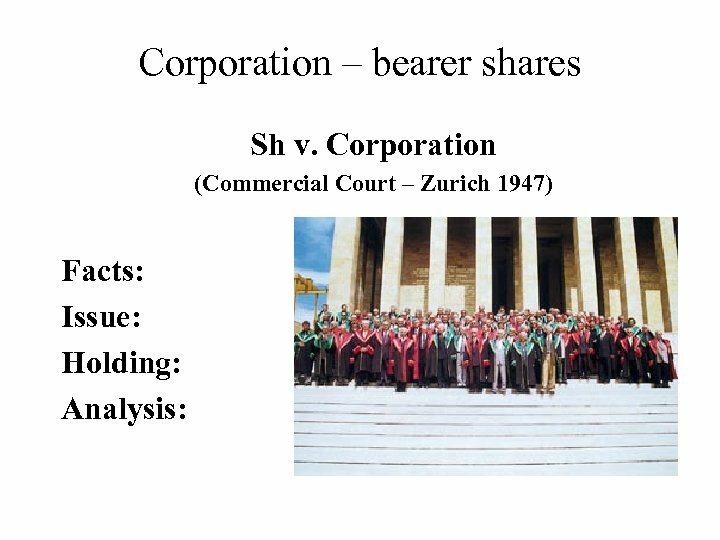 Corporation – bearer shares Sh v. Corporation (Commercial Court – Zurich 1947) Facts: Shs resolution to amend charter – bearer shares become registered. Sh sues to annul. Issue: Can bearer shares be transformed by majority action or are the vested right? Holding: Transformation OK Analysis: Legal view changing - debt personal, but not equity. Not fundamental, vested right. Alienability not affected; here no vinculation in amendment (though “sleeper” in charter. No right to anonymity. 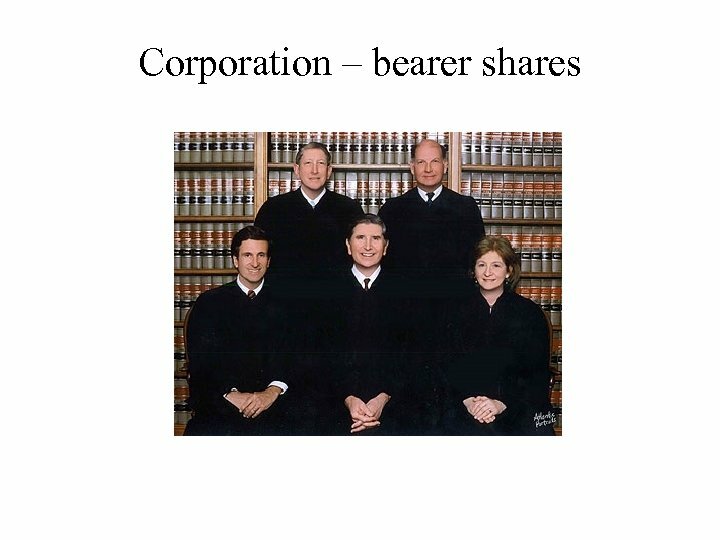 Corporation – bearer shares What does US corporate law say about – • bearer shares? • restrictions on transferability? Could there be bearer shares in the US? 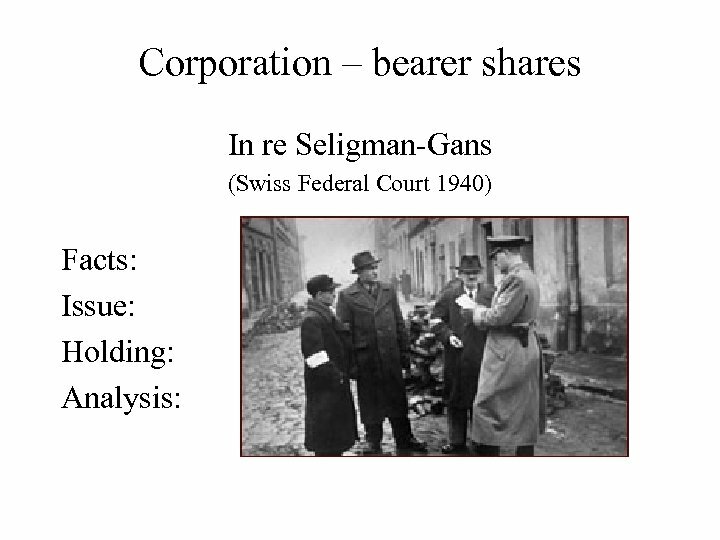 Corporation – bearer shares Are transfer restrictions valid under the Swiss Code of Obligations? Isn’t this interference with a vested right? 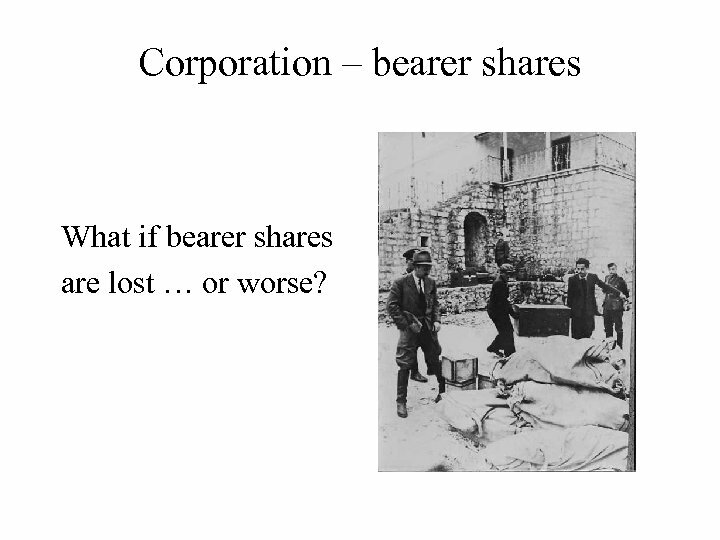 Corporation – bearer shares What if bearer shares are lost … or worse? 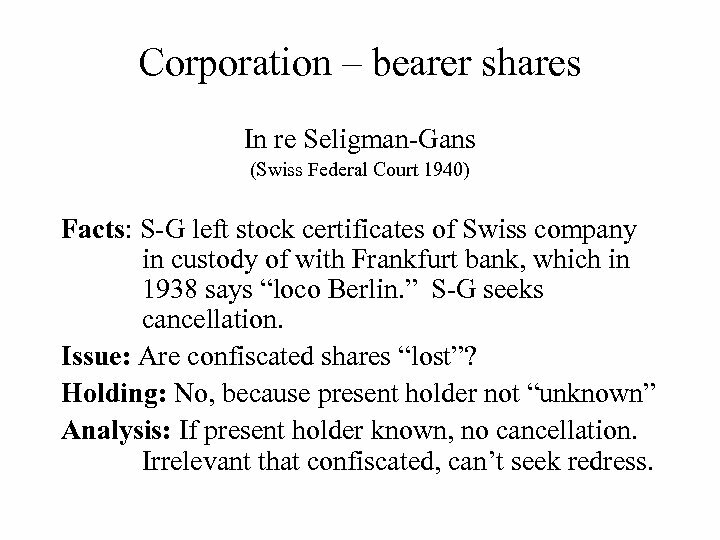 Corporation – bearer shares In re Seligman-Gans (Swiss Federal Court 1940) Facts: S-G left stock certificates of Swiss company in custody of with Frankfurt bank, which in 1938 says “loco Berlin. ” S-G seeks cancellation. Issue: Are confiscated shares “lost”? Holding: No, because present holder not “unknown” Analysis: If present holder known, no cancellation. Irrelevant that confiscated, can’t seek redress. 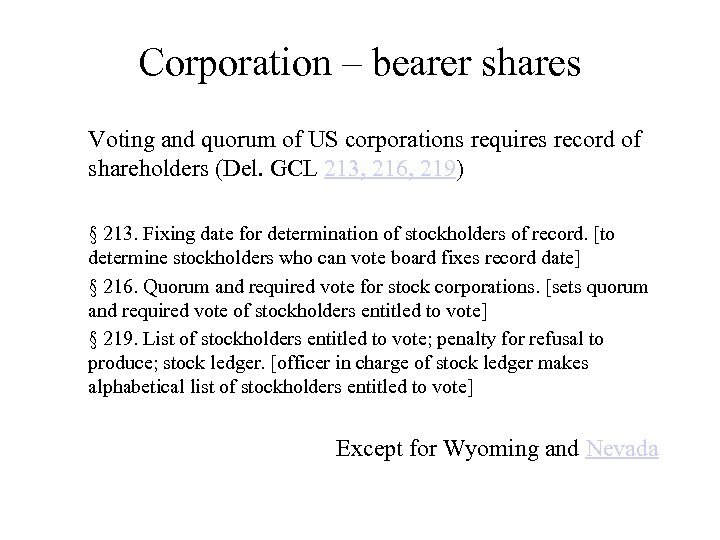 Corporation – bearer shares Would the S-Gs have redress in US court? Consider the sovereign immunity and jurisdictional defenses. What is the location of bearer shares? 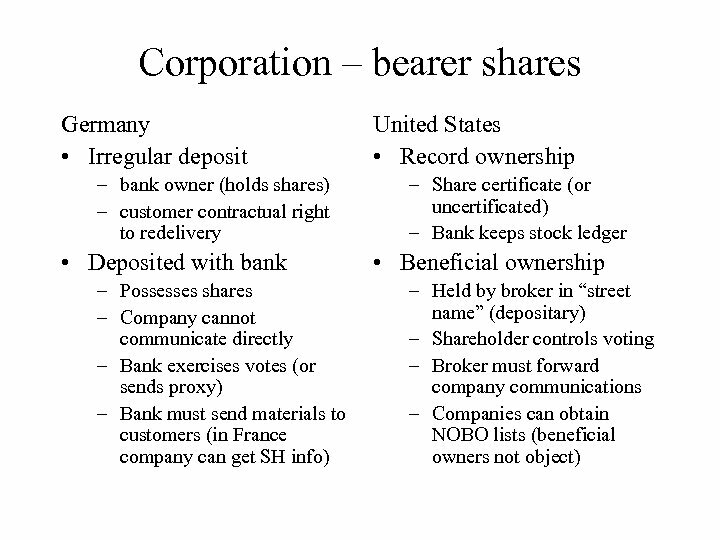 Corporation – bearer shares How are shares of public companies held in Germany (bearer shares), compared to the United States (registered shares)? What is the effect? 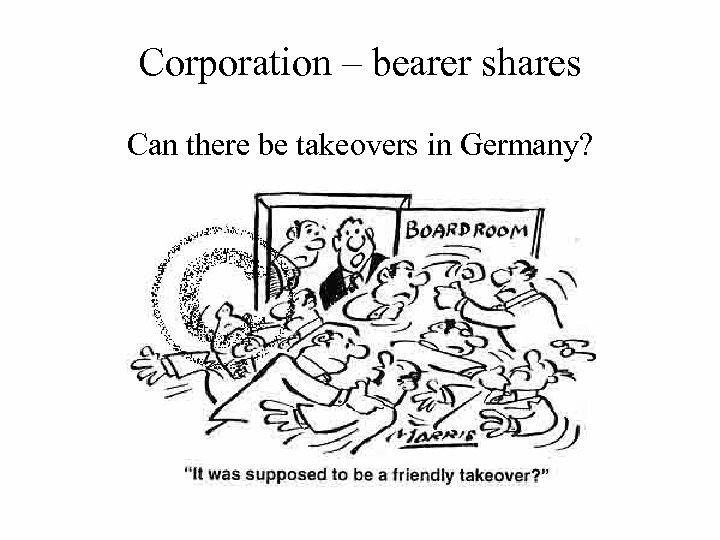 Corporation – bearer shares Who controls public companies in Germany? in the US? 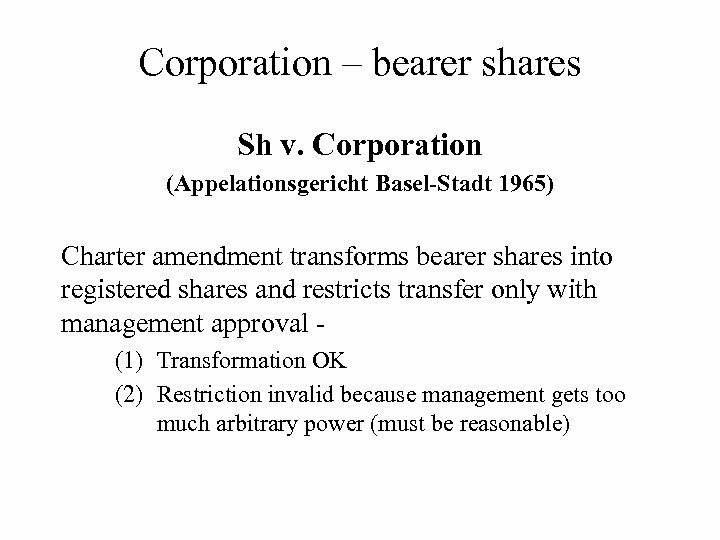 Corporation – bearer shares Can there be takeovers in Germany? 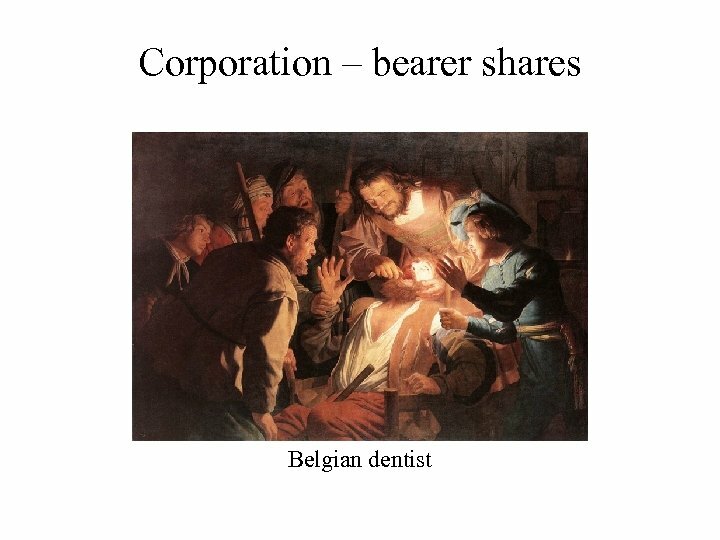 Corporation – bearer shares Do bearer shares make unfriendly takeovers easier or more difficult? Compare and contrast the photos. Time over !